John A. Broadus was a founding faculty member and president of The Southern Baptist Theological Seminary. A great preacher, scholar and leader, Broadus did much to shape the Baptist tradition of the twenty-first century. This new biography presents Broadus' life and work through a collection of ten independently contributed chapters. Contributors include David Dockery, Timothy George, and Thomas J. Nettles, among others. Get more acquainted with this influential church leader. David S. Dockery is president of Union University in Jackson, Tennessee, recognized as a top tier institution by U.S. News and World Report and the Time/Princeton Review. 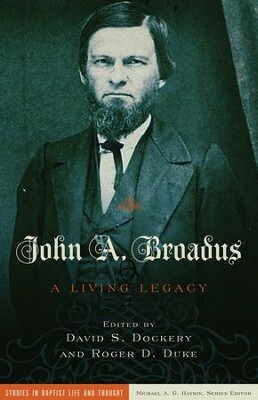 I'm the author/artist and I want to review John A. Broadus: A Living Legacy - eBook.